April 5, 2016 — State fisheries managers use science-backed information to determine how many striped bass, blue crabs and menhaden can be caught each season without damaging the overall health of each species. But not the Chesapeake Bay’s oysters. A bill passed by the Maryland Senate and pending before the House would require University of Maryland scientists to establish harvest limits that ensure a sustainable catch for years to come. 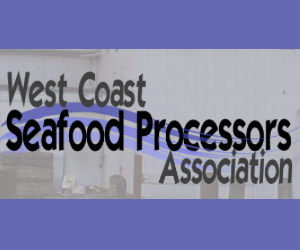 Representatives of the seafood industry are branding the measure as costly and unnecessary. The bill’s supporters, however, say Maryland’s oyster population is being overfished, pointing to estimates that it is 1 percent of its historic size. Maryland’s oyster haul plummeted from an all-time high of 15 million bushels in the 1880s to 26,000 bushels in 2004. After surpassing 100,000 for several years, the total harvest rocketed above 300,000 in 2013 and 2014. Researchers attribute the jump to hearty reproduction in 2010 and 2012. The size of oyster catch this season, which officially ended Thursday, is expected to be lower again, reflecting poorer reproduction in subsequent years. March 31, 2016 — This week, I was reminded of the outstanding Atlantic menhaden management program we have in Narragansett Bay. Monday night, George Purmont, a spotter pilot commissioned by the Marine Fisheries Division of the Department of Environmental Management (DEM), spoke about his work of counting schools of Atlantic menhaden (pogies) from the air in Narragansett Bay. The program is one of the most sophisticated and effective programs of its type in the nation. Purmont said, “Flights once or twice a week give fish managers at DEM good information to manage the fishery.” The program works well for recreational fishermen to protect this forage fish, as well as for the commercial fishery, allowing the Bay to be fished when there is an abundance of fish in the Bay. The February/March issue of ASMFC Fisheries Focus is now available at http://www.asmfc.org/uploads/file/56f557b0FishFocusFebMarch2016.pdf. March 21, 2016 — PASCAGOULA — Moss Point Mayor Billy Broomfield defended his city’s major industry, Omega Protein, to Jackson County supervisors on Monday. 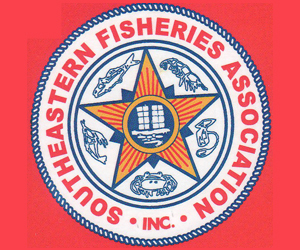 He said the menhaden fishery would be hard hit if the county follows through with plans to ask the state to restrict menhaden fishing in the Mississippi Sound to one mile off the Jackson County coast. Harrison and Hancock counties already do that. The restriction is in part to stop by-catch and overfishing. 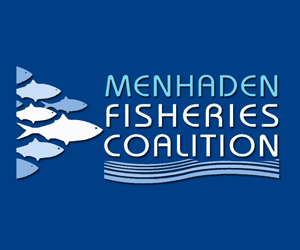 While prominent environmental groups have claimed for years that the menhaden fishery has harvested too many menhaden, a thorough analysis from the Menhaden Fisheries Coalition shows that the number of fish being caught is a small fraction of the coastwide population. Between 2004-2013, the fishery only harvested an average of 6.4 percent of the overall menhaden population. This leaves over 93% of menhaden left in the ecosystem as forage for birds, fish and other sea creatures. Menhaden fishing mortality, which hit an all-time low in the last assessment, is dwarfed by natural mortality, which accounts for predation and mortality from other causes outside of the fishery. The analysis, “The Fate of an Atlantic Menhaden Year Class,” and accompanying infographic, “Atlantic Menhaden: Fishing by the Numbers,” is based on the catch data included in the 2015 Atlantic States Marine Fisheries Commission Atlantic menhaden stock assessment. Also examined in the analysis is the age of menhaden that are caught by the fishery. The fishery specifically does not target juvenile menhaden-those most likely to serve as forage-and the oldest fish-those that are the most fertile spawners. This harvest approach is reflected in the catch data: the fishery overwhelmingly catches menhaden between the ages of 2 and 3, and the catch for juvenile and older menhaden is negligible. These estimates, along with the 2015 assessment’s headline findings that menhaden are not experiencing overfishing nor are they being overfished, further confirm the sustainability of the fishery. With such a small percentage of the menhaden population actually going to harvest, as well as other positive indicators for stock health, it is clear that current menhaden management is safeguarding the health and the future of the species. 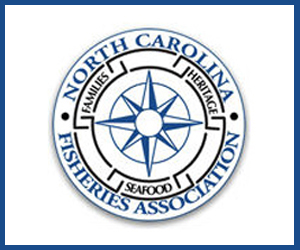 The Atlantic States Marine Fisheries Commission has awarded funding to a research team headed by Dr. John Whitehead of Appalachian State University and Dr. Jane Harrison from North Carolina Sea Grant to conduct a socioeconomic study of Atlantic menhaden commercial fisheries. 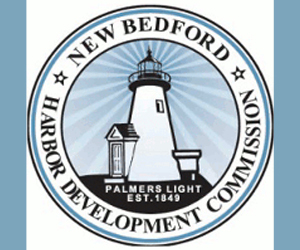 The study is intended to characterize the coastwide commercial fisheries, including bait and reduction sectors and the fishing communities they support. 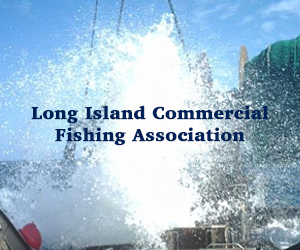 The principle objective of the study is to analyze data from participants in the Atlantic menhaden commercial industry. The Atlantic menhaden reduction fishery industry converts menhaden into fishmeal and fish oil, while the bait fishery industry supports other commercial (e.g. American lobster, blue crab) and recreational fisheries (e.g. striped bass, bluefish). Case studies along the Atlantic coast will link the harvesting, processing, and distribution sectors across the supply chain. Information on landing trends, industry participation, and social leadership and organizations will also be analyzed. Over the next month, ASMFC staff will be working with the research team to identify and reach out to fishery participants. The Chesapeake Bay is a tidal estuary of the Atlantic Ocean — which is also fed by more than 150 streams and rivers within its watershed, emanating from six states and the District of Columbia. Thus it contains the same saline waters of the Atlantic, but has not borne within the past (nor does it continue to bear) any resemblance to the more pristine waters of the Caribbean Sea. The marine dead zones are hypoxic waters which are so depleted of oxygen that they are unable to support life, resulting oftentimes in massive fish kills. The oxygen-robbing algal blooms which are symptomatic of the hypoxia are caused by the problematic runoff of residential, agricultural and industrial effluent throughout the watershed. Therefore, the menhaden are ill-affected by the disruption in the marine food chain, but should not necessarily be regarded as the root cause of the hypoxia. A recent post from Mission Blue – Sylvia Earle Alliance (“Chesapeake Bay Suffers from Menhaden Reduction Industry”) makes several claims about the Atlantic menhaden fishery, most notably that the fishery, particularly in the Chesapeake Bay, is responsible for “environmental collateral damage.” The Menhaden Fisheries Coalition disputes this categorization, as based on the most recent assessments conducted on the menhaden stock, there is little evidence that the menhaden fishery is negatively impacting the health of the species. Mission Blue claims that menhaden are the only species “managed directly by Virginia’s General Assembly,” and implies that menhaden are managed according to political, rather than scientific, considerations. But menhaden harvest levels are not set by the Virginia General Assembly. Instead, the Atlantic States Marine Fisheries Commission (ASMFC), an interstate scientific and management body, is responsible for setting menhaden quotas according to the latest menhaden science and stock assessments. The General Assembly, while approving and implementing the quotas within Virginia borders, do not determine what harvest levels are appropriate, and do not act contrary to the ASMFC’s scientific advice. According to the ASMFC’s most recent 2015 stock assessment, Atlantic menhaden are neither overfished nor experiencing overfishing, meaning that the fishery is not significantly impacting the long-term viability of the resource. In 2015, the ASMFC even raised the coastwide menhaden quota by 10 percent, in recognition of the fishery’s sustainability. 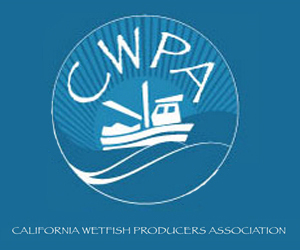 The 2015 stock assessment contains other indicators that point to the fishery being sustainable. Fishing mortality is near an all-time low. The reduction fishery is smaller and having less of an impact on the menhaden stock than at any point in its history. Fecundity is near an all-time high. Fecundity is a particularly important measurement, as it may be one of the best metrics available to predict the future health of the stock. As the ASMFC has acknowledged, the size of the menhaden population does not have a discernible impact on the number of menhaden that actually spawn, with environmental conditions being a far better indicator than fishing for whether or not future menhaden year classes will be large enough to sustain the resource. 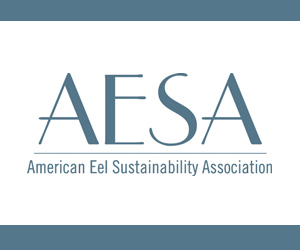 According to the ASMFC, “the stock-recruitment relationship observed to date is weak at best,” and the Virginia Institute of Marine Science states that “environmental conditions are likely more important than the size of spawning stock in determining reproductive success.” Ensuring that the stock is producing enough eggs—as is currently the case—is thus the best tool fisheries managers have to influence future menhaden stock size. Considering that the Atlantic menhaden reduction fishery is smaller than at any point in its history, and is currently abiding by the scientifically determined catch levels set by interstate fisheries managers, the Menhaden Coalition finds that there is little to support the claim of “environmental collateral damage.” Evidence instead points to the fishery being responsibly and sustainably managed.